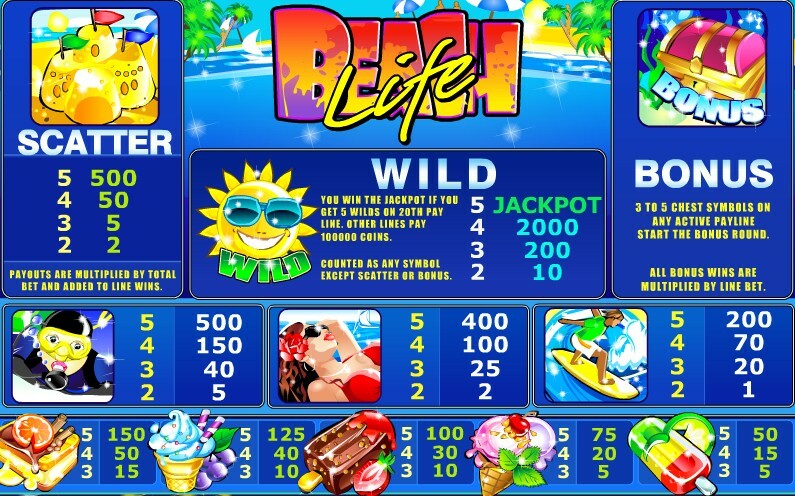 Beach Life was one of Playtech’s first major progressive jackpot pokie games which did not feature their old and dated Dollar Ball feature. The Beach Life pokie is still responsible for some of the biggest progressive jackpot wins today, many years after its initial release. Beach Life is themed on a wonderful day at the beach, and contain imagery such as lollies and ice creams to that affect. Beach Life is one of the most colourful and entertaining – if pricey – progressive jackpot pokies you can play on the net, today. Beach Life can be costly to play, but only if you are hunting down the progressive jackpot. Players will notice that Beach Life contains 5 reels and 20 paylines for you to bet on. Coin values are fixed at 0.25 a pop, and players can only stake 1 per line. They can adjust the number of lines they play with, though. Minimum and maximum wagers in this progressive jackpot pokie stem from 0.25 per line, per spin, up to 5.00 per spin with all the lines active. 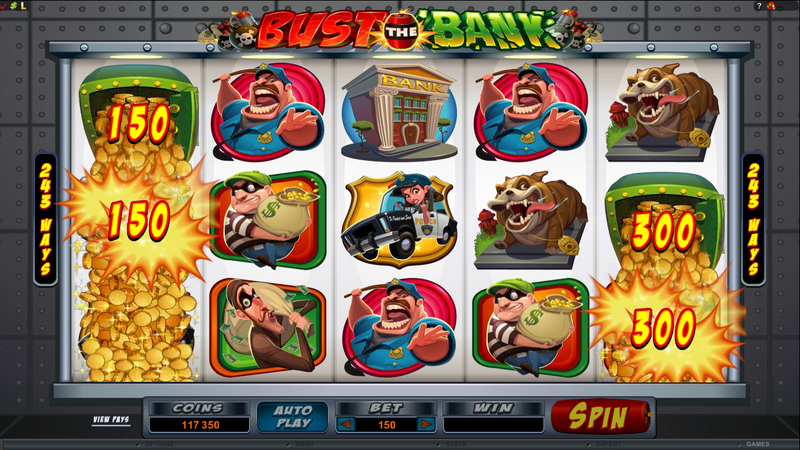 Play this pokie at Slots Million! Play Now! Wild symbol: The rather happy and cool looking sunshine icon acts as Beach Life’s wild symbol. When this wild appear, it can substitute itself for all other icons in the pokie, barring the scatter and bonus icons. Wilds are also very decent paying symbols in Beach Life. Scatter icon: Beach Life’s scatter icon is the sandcastle. When these icons appear 2, 3, 4 or 5 times in any position on the reels, players will pocket multipliers of 2x, 5x, 50x to 500x their total bet. 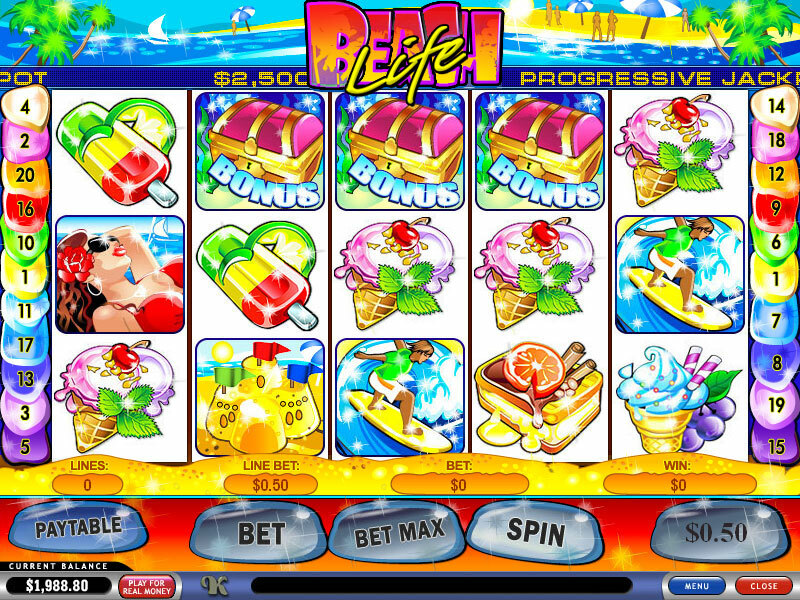 Unfortunately, free spins are not available in Beach Life, otherwise this scatter would have another function. 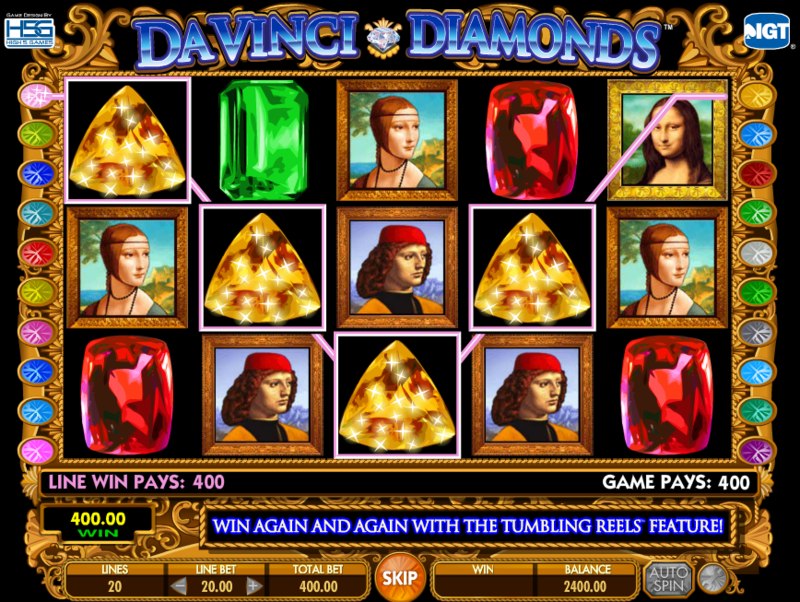 It is a shame that you can’t enjoy free spins, but the scattered wins are worth more than they normally would be as a result of that. Bonus icons: The treasure chest is the bonus icon in Beach Life. Like so many other tropical themed pokie, the sunken treasure chest has found its way into this game. 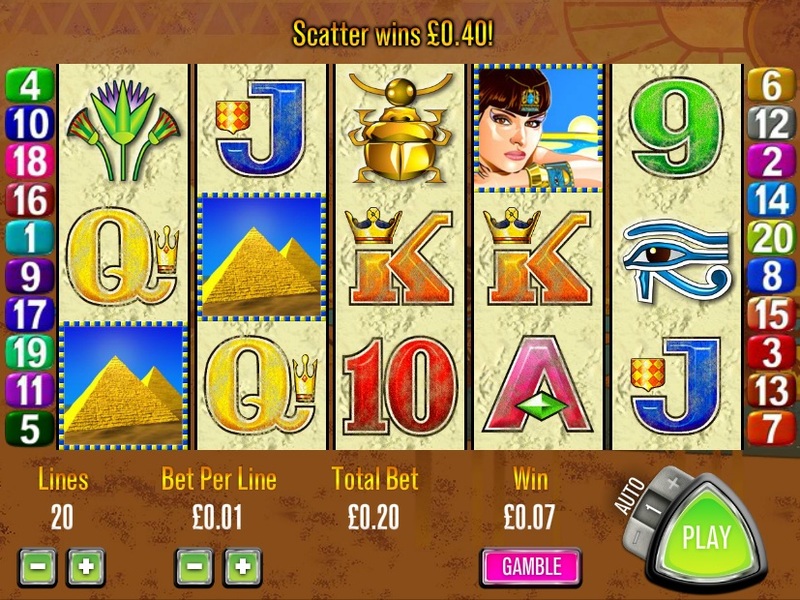 When three of these icons appear on a payline, the player will be taken to a second screen bonus. The symbols have to appear on a payline. Since they are not scattered, landing them anywhere simply won’t do. Bonus round: On the bonus screen, players will get to choose from a total of 14 sealed and sunken treasure chests. You will get to pick a total of three of them. Inside will await a bonus prize, will be added to players’ balances. Beach Life has one of the biggest progressive jackpots of any online pokie. In the past, it has paid out winnings worth as much as $8,200,000. The average win is around about $3 million, though. It won’t be able to win the progressive in Beach Life. Players are going to need to line up 5 wilds on the twentieth payline. They will also need to be playing with the maximum 5.00 wager. Landing the same combination on any other line, or with any other bet will only result in a secondary jackpot prize being paid out, which is worth just 10,000 coins. Players really are going to need to go all out if they wish to win Beach Life’s progressive jackpot. As we’ve said, you’ll need the maximum wager and the symbols on the last payline. That is a big ask for any online pokie player and game. It will not be easy, but it has been won many times since the pokie first launched, so it isn’t impossible. That’s good news at least!